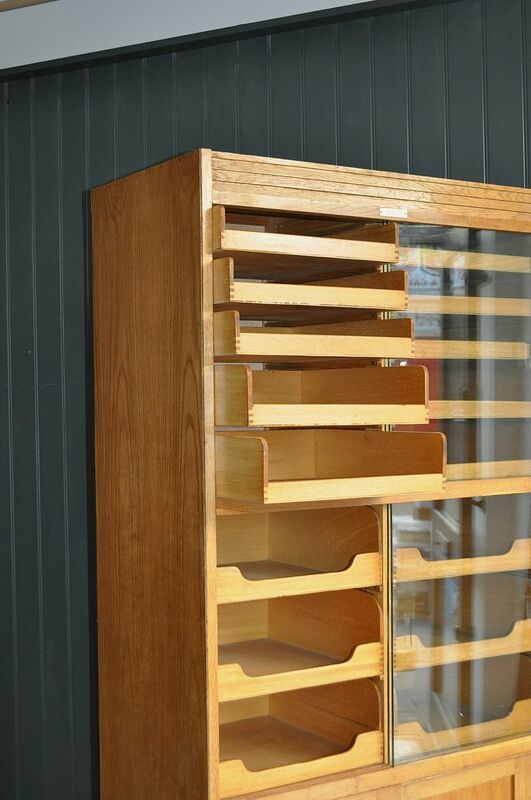 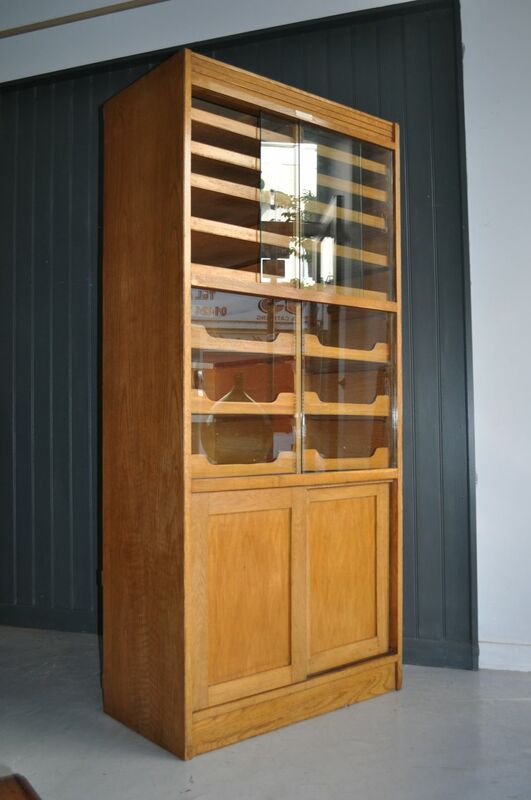 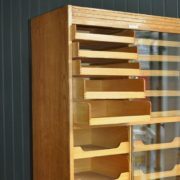 English outfitter's/habedashery cabinet, with 16 graduated trays behind glass sliding doors. 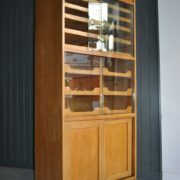 There is a cupboard behind the panelled sliding doors with a shelved interior. 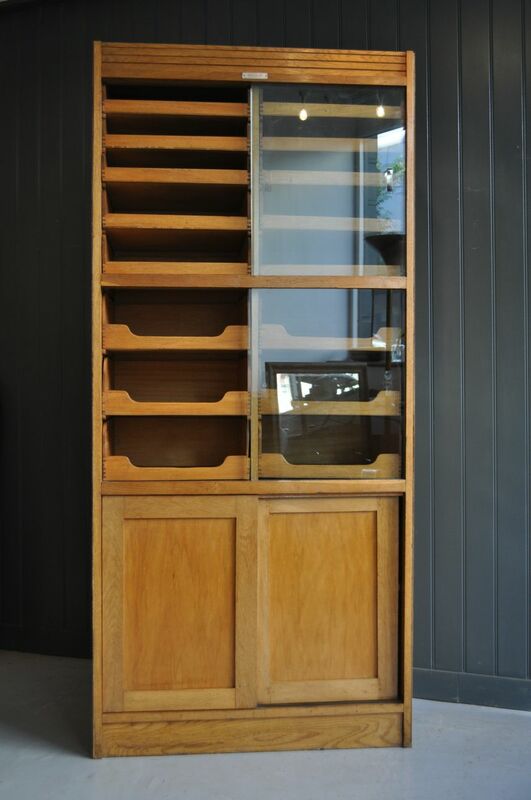 Good colour and condition, with only very light wear in keeping with age, and a London maker's label still present to the front.